In 2013, there was a total of 20,847,787 students enrolled in high education. 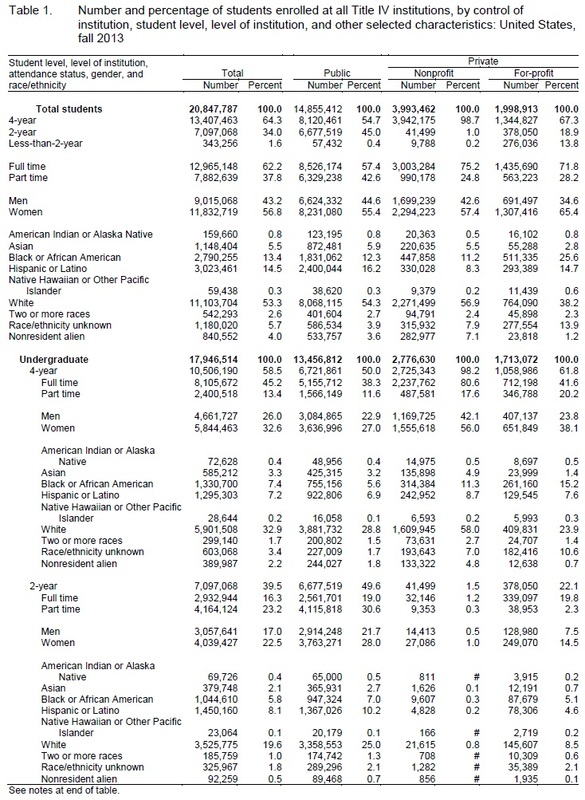 Of these 2,790,255 were Black or African American. The National Center for Education Statistics (NCES) is the primary federal entity for collecting, analyzing, and reporting data related to education in the United States and other nations. 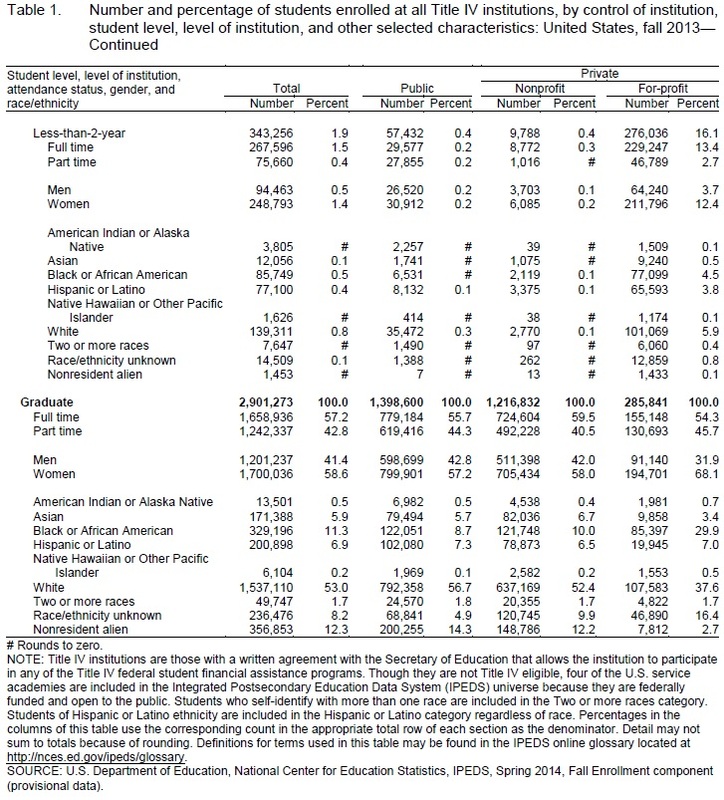 It fulfills a congressional mandate to collect, collate, analyze, and report full and complete statistics on the condition of education in the United States; conduct and publish reports and specialized analyses of the meaning and significance of such statistics; assist state and local education agencies in improving their statistical systems; and review and report on education activities in foreign countries. The 2014 Fall Enrollment component collected student enrollment data for fall 2013. Data were collected on the race/ethnicity and gender of students, attendance status, and student level (undergraduate or graduate). 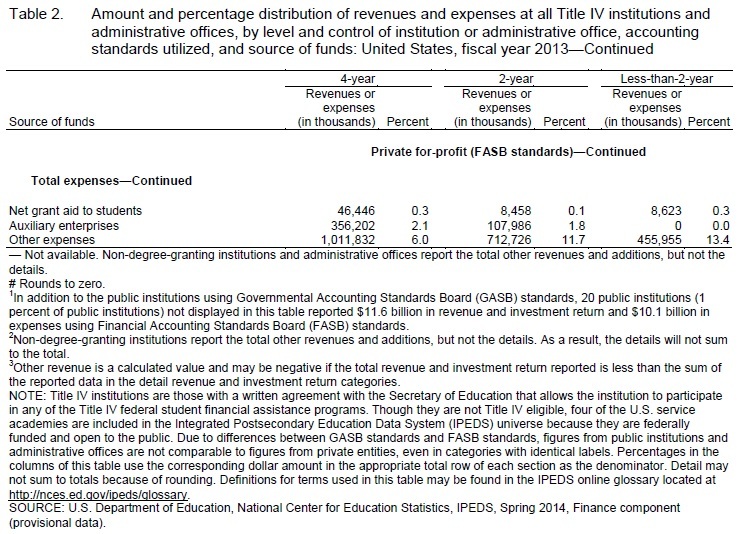 Institutions were also required to report data by student age, while state of residency reporting was optional. In addition, data were collected on the number of students enrolled exclusively in distance education courses, in any distance education courses, or in no distance education courses. These data were reported by student level, undergraduate degree-seeking status, and student residence location (i.e., in the same state or jurisdiction as the institution; in a different state or jurisdiction as the institution; outside the United States; or unknown). Retention rates and student-faculty ratios were also collected via the Fall Enrollment component. •In fall 2013, Title IV institutions enrolled approximately 17.9 million undergraduate and about 2.9 million graduate students. Of the approximately 17.9 million undergraduates, about 59 percent were enrolled in 4-year institutions, nearly 40 percent in 2-year institutions, and nearly 2 percent in less-than-2-year institutions. 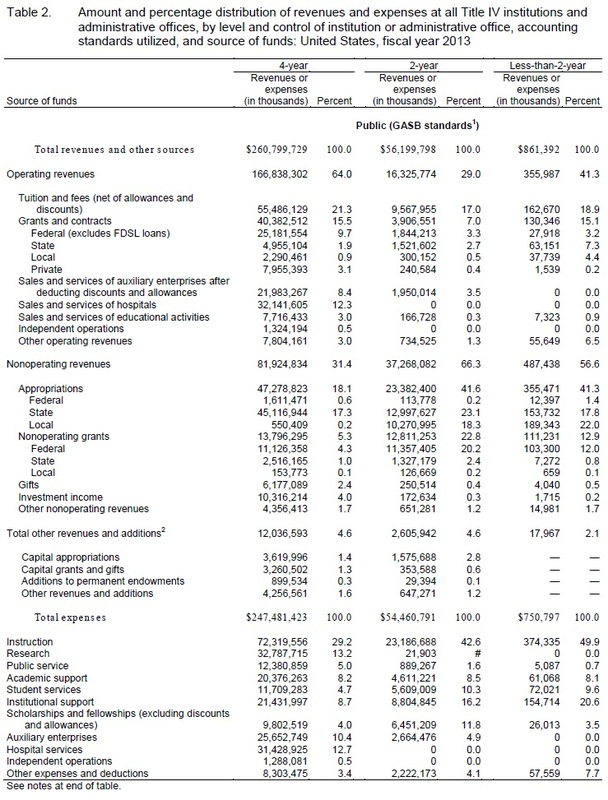 •In fiscal year 2013, public 4-year institutions and administrative offices received about 21 percent of their revenues from tuition and fees, compared with just over 32 percent at private nonprofit entities and nearly 91 percent at private for-profit entities. 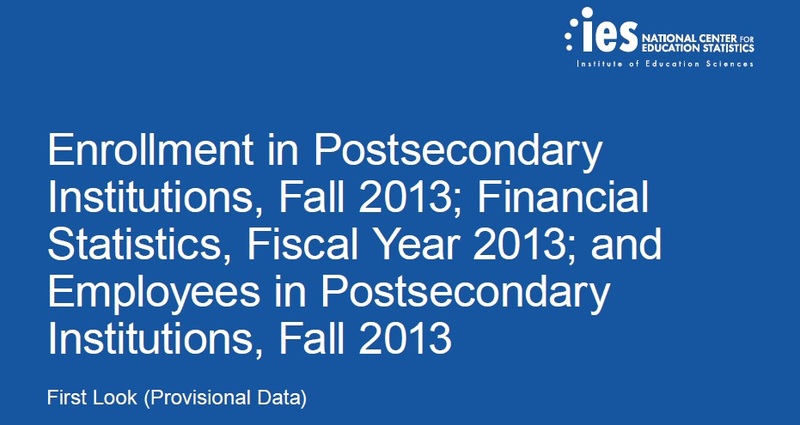 •Title IV institutions and administrative offices reported employing approximately 4.0 million individuals in fall 2013. Of the 4.0 million individuals, about 2.5 million were employed full-time and about 1.4 million were employed part-time. Click images below to enlarge. Click your return arrow to return to this Dilemma X article.